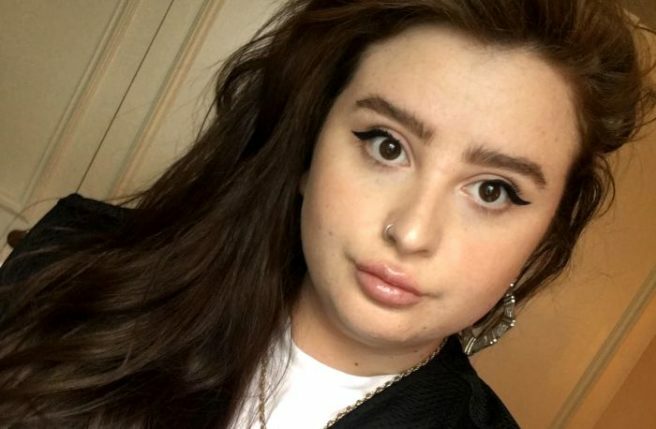 HomeTagsPosts tagged with "lip fillers"
Getting lip fillers has become a front-and-centre kind thing in the media, thanks to celebs like Kylie Jenner and Megan Barton Hanson being vocal about using them. While there are zillions of clinics and aestheticians that can safely give you a fuller pout, there are just as many places that will put yourself at massive risk. Irish clinic Consultant Clinic, which also has clinics in Manchester, Liverpool, Birmingham, and London, has taken to social media to blast people choosing non-medics to get lip fillers – and the results are scary. They uploaded snaps of the treatment-gone-wrong (which should be avoided for if you're in ANY way squeamish) and told teh story of a woman who wanted to get her lips done for a wedding but went to a beautician to get them, in a non-clinical home setting. The Clinic does say that this can happen with even highly trained practitioners but the fact that the doctor didn't recognising ischaemia and necrosis is dangerous. People were horrified by this tale and took to the comments to say so. Take this as a major warning – if you're going for this type of procedure research you will be messing wth your face BEFORE you have it done because the alterative is so not worth it. 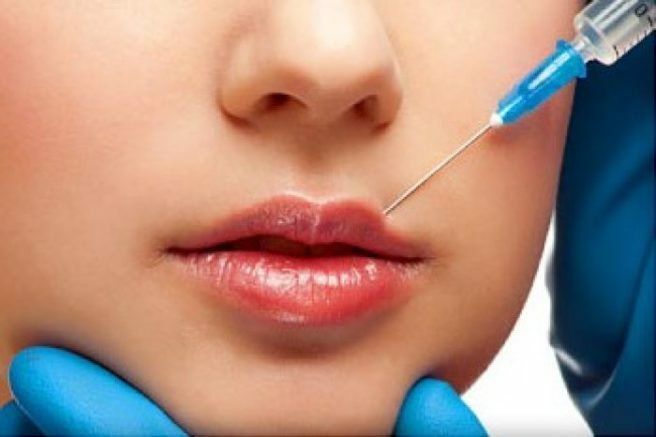 An advert for lip fillers created by The Royal Tunbridge Wells Skin Clinic (RTWSkin) has been banned for supposedly encouraging young girls "irresponsibly" to get the cosmetic procedure. 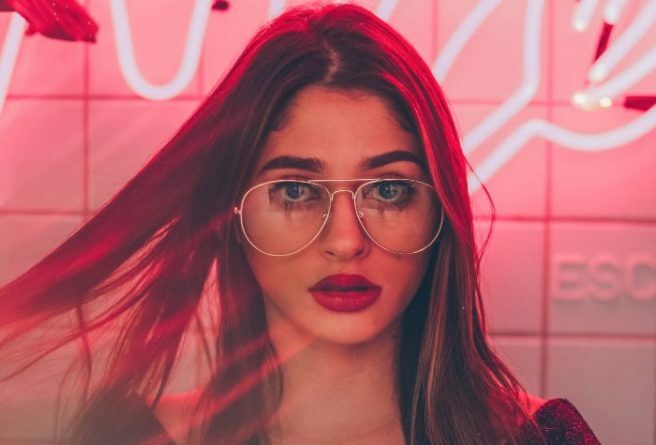 The Advertising Standards Authority (ASA) suggest that the ad insinuated that getting lip fillers are now "commonplace as getting your hair done", according to The Independent. The advert, ran in Index Magazine, was targeted at young women and has been removed for normalising and presenting the cosmetic procedure as safe. The ad read "Is your daughter taking an interest in lip fillers?" and claimed that the procedure was as common as a haircut. RTWSkin director John Sheffield stated his surprise at the decision of the ASA to ban the advert; "I'm shocked at the attitude and conclusions". The ad drew complaints in October when it initially ran. It stated: "Dermal fillers are very quickly becoming as commonplace as getting your hair done these days and even more so within the younger age group." It also wrote that mothers often bring their daughters in for the fillers. It implied that parents are searching to "find somewhere safe and suitable" for their children's treatment, instead of saying no and pushing their daughters or sons to "go behind their backs, blindly searching for the cheapest practitioner without realising the risks". 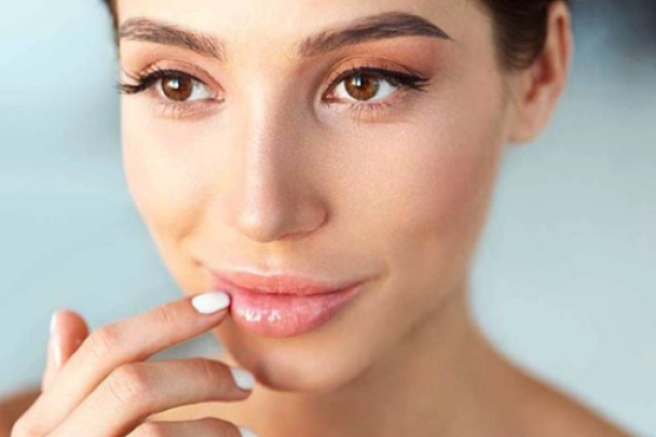 According to the ASA, the ad made the impression that risks of lip fillers were associated only with unsuitable practitioners, and failed to illustrate the common risks of the surgery even with an experienced surgeon. It added: "By presenting lip fillers as normal and safe… and something that responsible parents should support, the ad was irresponsible." RTWSkin are claiming that a 20-year-old staff member wrote the ad, so was consulted about young women and their desire for altering their image. A post shared by rtwskin (@rtwskin) on Feb 9, 2019 at 7:04am PST In a statement to the ASA, she stated her peer group was "vulnerable to the messages put out by reality TV shows and social media", and believed education and discussion of the topic was vital considering the amount of negative treatments being issued elsewhere. Mr Sheffield said "many" young women and men attended the free consultation as a result of the ad, and about 30 percent of these people went for treatment. "In the vast majority of cases, we were able to satisfy the person that they did not need this procedure." "We have received several commendations for our efforts to educate and were really quite shocked at the attitude and conclusions of the ASA." Kylie Jenner, the indisputable driver of the lip filler trend, recently announced on Instagram that she has gotten rid of all of her fillers. After rocking a pillowy pout since she was just 17, it seems that the new mum grew weary of her extreme lip look. 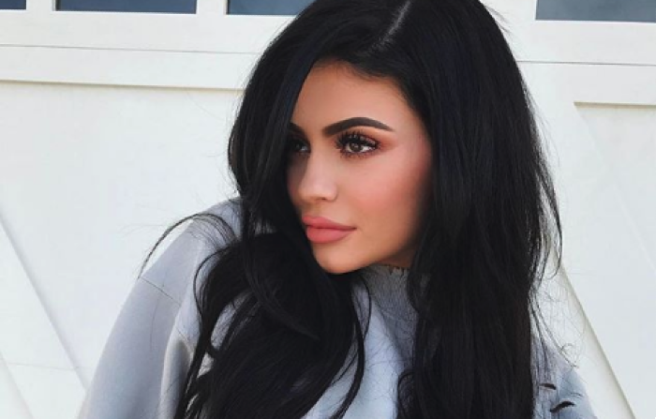 When Kylie first debuted her plumper pout, interest in the lip filler procedure skyrocketed, and the number of people going under the needle to obtain bigger lips has increased year on year in the three years since. In the past, she admitted that she might have gotten carried away with the injections. Celebrity culture takes a lot of responsibility for the trend, and Kylie and the rest of the Kardashian-Jenners in particular, but I don't accept that everyone getting lip fillers is getting them based on a celebrity trend. Rake me across the coals, but I have lip fillers – and Kylie Jenner definitely wasn't my inspiration. I feel like putting an aesthetic procedure down to a celebrity endorsement takes the autonomy away from the patient. For me, I had always felt like my features lacked balance, having bigger eyes, wider cheekbones and a big nose, and teeny mouth. I wanted even proportions throughout my features, and lip fillers seemed like a good place to start. I wasn't chasing Instagram perfection or Kardashian aesthetics. Aesthetic procedures are admittedly performed for the wrong reasons on occasion. April Kavanagh of Nursecare Aesthetics, turns away young girls everyday who come to her practice brandishing photos of Kylie Jenner's Instagram. 'They absolutely have unrealistic expectations because of Kylie Jenner, They come in looking for a half ml of filler expecting to look bee-stung,' she told SHEmazing last year. However, I think these are the outlier cases, those who do hold reality TV stars up on golden pedestals who would do anything to emulate the look. 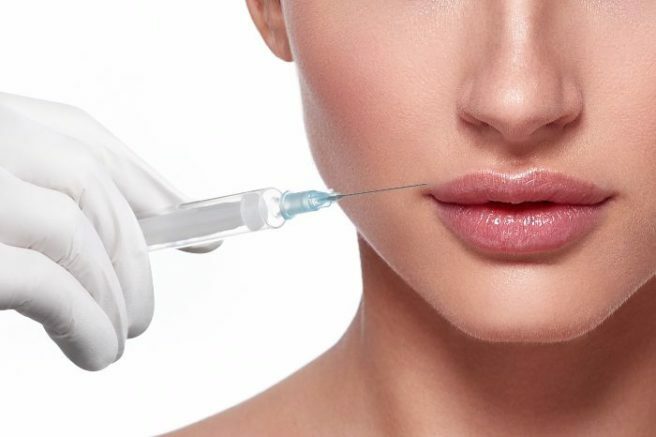 'Lip fillers are not a bad thing," adds Kerry Hannaphy, who has worked on numerous clients in her South William Street clinic looking for a subtle improvement in lip volume or symmetry. Kylie Jenner was the talk of Tinsel Town when, aged 16, she went under the aesthetician's needle and opted to plump her pout with some lip fillers. As the Kardashian's worst-kept secret. Kylie's filler work quickly came to light, and prompted a huge upsurge in the popularity of the procedure. Last month, Kylie created a stir once again when she took to Instagram sans filler, saying she had had her filler dissolved. Since, Kylie has appeared with new fillers, and while it's now no secret that she has them, no one knows the exact process and story behind how she got them. She previously cited her lips as an insecurity of hers, and in a recent tweet, told fans that she will be releasing a vlog about her experiences. However, when we can expect this video is still a mystery. Kylie is editing the video herself, she revealed. 'The vlog is just a whole mess & I’ve been the busiest I’ve everrrr been. I’m editing myself. It’s about my whole lip filler journey. I hope it comes out soon,' she tweeted. With Kylie being a new Mum and enjoying her 21st birthday celebrations, we may be waiting a while. Kylie Jenner is known for many things. Her lip gloss range, her reality TV show, the fact that she's part of one of the most famous showbiz families on the planet…oh and her now-iconic full pout. While she initially denied having anything done to her lips, she admitted all in 2017 on her show Life of Kylie. Explaining why she had originally lied about the cosmetic work, she explained that she had panicked. However, it seems that she has had a change of heart. Taking to Instagram over the weekend, the 20-year-old revealed that her relationship with fillers was so done. She posted an image of herself with what looks like her old lips. While people were purely speculating about the Insta snaps at first, Kylie then confirmed her different look by saying, ''I got rid of all my filler'' followed by worried emojis. Kyle recently spoke about how her baby Stormi had not inherited her lips, but has big beautiful eyes. Love Island has spawned many trends – whether it's blow drying your eyelash extensions or referring to yourself as a bombshell. However, one trend which has seen an uptick since the show started five weeks ago is the demand for fillers and botox. It is widely speculated that the majority of Love Island's female contestants have had aesthetic work done – with Megan Barton Hanson being easily the most pursued woman in the villa and allegedly th most cosmetically enhanced. Old photos of Megan recently resurfaced, with some aesthetic experts guessing that since the photos were taken, Megan has had Non-Surgical Rhinoplasty, Cheek Fillers and Lip Enhancement. 'Since Megan entered the villa, we’ve had countless clients ask for lip fillers to get a similar look,' said Dr. Paul Reddy. 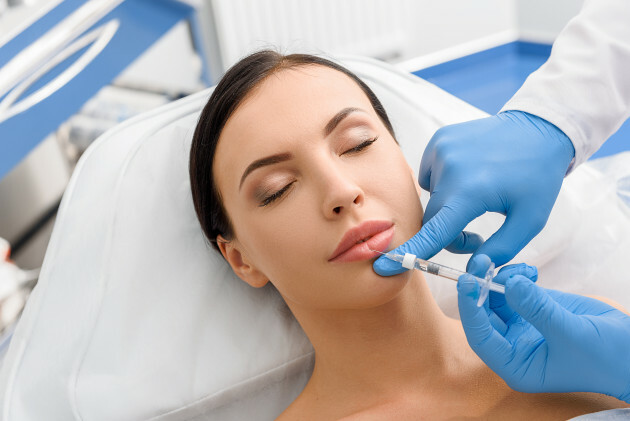 With the rise of celebrity culture and affordable cosmetic procedures, demand for botox and lip fillers has seen a huge increase in Ireland over the past few years. In fact, interest in the procedure is so high that surgeons at Cork University Hospital have discovered that Ireland comes out on top when it comes to the global number of online searches for lip fillers. According to The Sunday Independent, the increased demand has led to a need for more cosmetic surgeons in Ireland. The research also found a direct correlation between the number of people who searched for cosmetic procedures and the number of people who eventually got work done – meaning not only are we Irish thinking about lip fillers more than any other nation, but many of us are choosing to go ahead with the temporary enhancement. If you do decide to get lip fillers, it is important to go to a licensed clinician, as cheap alternatives can lead to potentially dangerous results. Could this weird sushi ingredient act as a NATURAL lip filler? Full, pouty lips have become a one of the most covetable facial features. Call it the Kylie Jenner effect. While some of us choose to go down the cosmetic surgery route to achieve the perfect pout, one beauty blogger has a natural approach to achieving a voluminous lip look. Taking the fate of her lips into her own hands, Farah Dhukai applied wasabi spice to provoke her pout into inflating. The video has since racked up more than 6.2 million views in four days. "Natural lip fillers, get soft plump full lips without needles or sucking on cups or objects," promises the beauty blogger. "As you may have noticed, I have VERY wrinkly lips and its cold AF in Toronto so now they're super dry too. 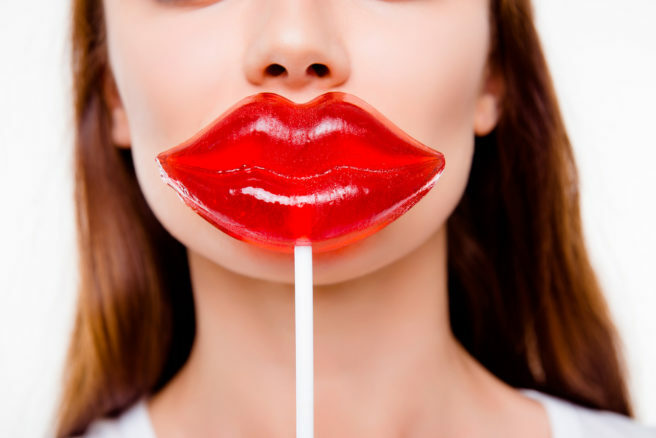 This one trick is a great way to get plump lips that look like you've had fillers." "They'll be extremely soft, wrinkles will be filled in, they'll have a natural pink colour, and they'll be so plump ppl will think you've had them done." The social media star, who already has over 4 million followers, is known for her DIY beauty inventions including clay hair masks and home brewed matcha skin cleanser. While there is no scientific evidence that supports wasabi's pout plumping capabilities, it's a lot cheaper than fillers. Just make sure to do a patch test first. With their exaggerated curves and voluptuous lips, the Kardashian-Jenners are often accused of befriending Hollywood’s beloved plastic surgeons. But while her entrepreneurial sister eventually admitted to making her famous pout “a little too big”, it seems Kendall Jenner’s journey towards cosmetic enhancement may only be beginning. On Monday night, the model’s younger sibling uploaded a picture to Instagram in which Kendall’s lips appear far fuller than they have previously. Fans were quick to pick up on the 21-year-old’s changed appearance and promptly concluded that she must have received lip fillers. Many of the KUWTK star’s followers expressed disappointment over the alleged alteration and tweeted that they had hoped she would preserve her natural good looks. If the photos of Kendall Jenner's lip injections are real, I'm so disappointed. She looks stupid af. A number of online commentators furthered this theory by suggesting Kendall deleted her Instagram account so she could quietly remove images which would prove her lips have changed. 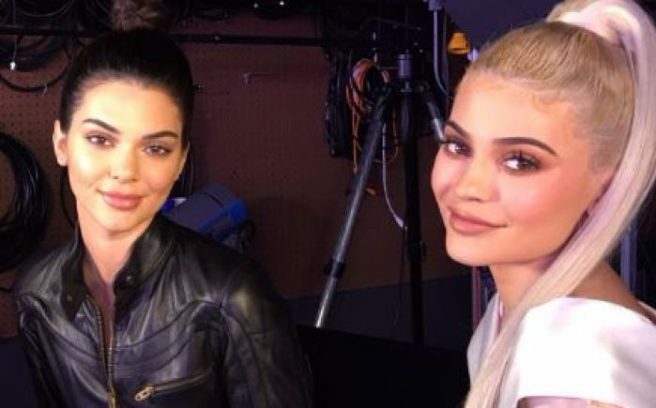 However, Kylie has since taken the blame for Kendall’s new look by telling her Snapchat followers that she overlined her sister’s lips before sharing the attention grabbing post.